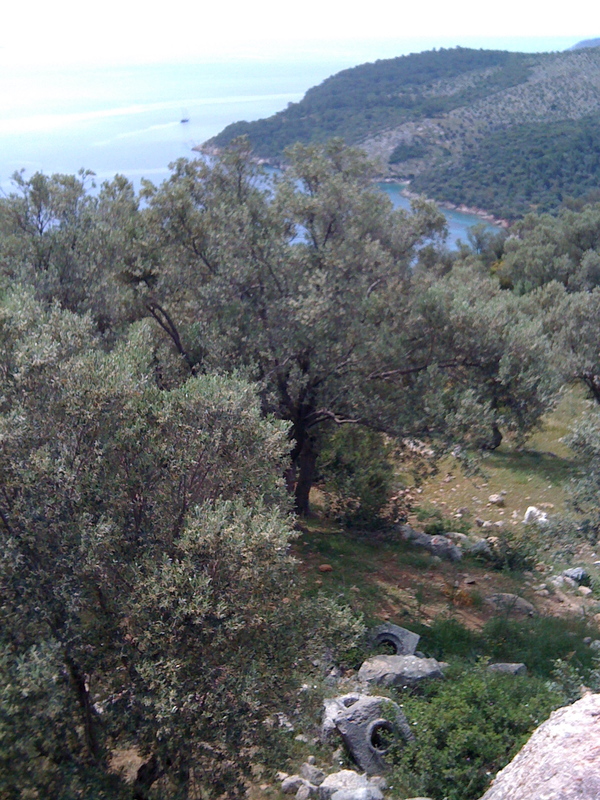 On the way to Gocek, our guide, the wonderful Serra, pulled off the highway near Kalkan. A switchbacky dirt road took us up the side of a mountain. We went around a corner and beheld this. 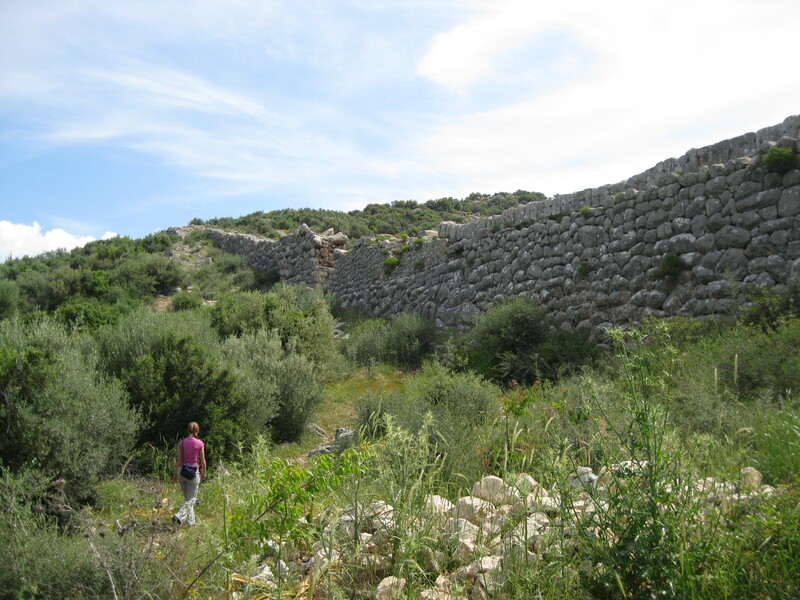 It’s a Roman aqueduct that used to run about twenty miles, bringing the water from Akbel to Patara. There was no one there, no ticket booth, no guards, nobody selling souvenirs, no “Keep Out” signs, and no other tourists, only us. We could climb all over it, and we did. 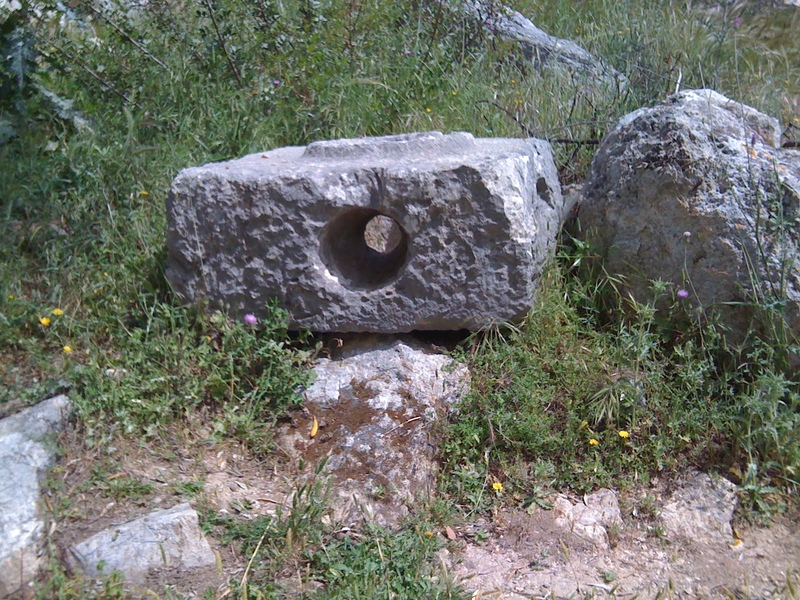 Check out the Roman equivalent of the pipe that ran along the top. Here’s a closeup of one section of the pipe. The big hole on top was for the water. 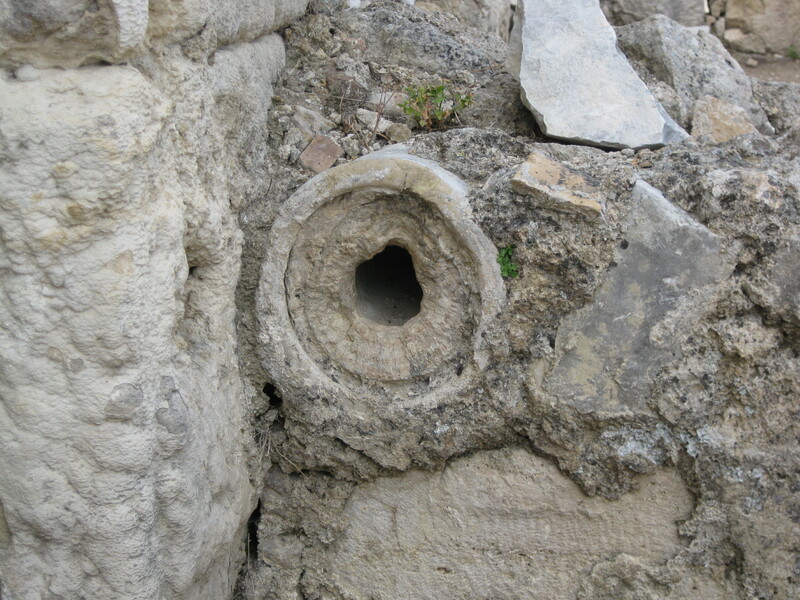 The little hole facing is an access hole so they could scrape out calcification in the pipe, and the pipes did calcify, as we saw in Perge. No wonder the Romans ran the world for as long as they did. They built roads where no roads were before. They brought water to towns who until then didn’t have water if it didn’t rain. Was any empire ever more into civic improvements than these guys? The British? I don’t think so. Us? Not, at home or abroad. I’d love to know who the guy was who first thought up an aqueduct. He was an engineer, for sure. He knew if he could find a big enough lever he could move the world. And he did. And without power tools. Very cool. Interesting pics. Sets the imagination in motion. What Troy said! Did the pipe segments require a seal or connection of some sort along the line? The side accesses, did they have to plug those somehow? I wondered about that myself, Steph. 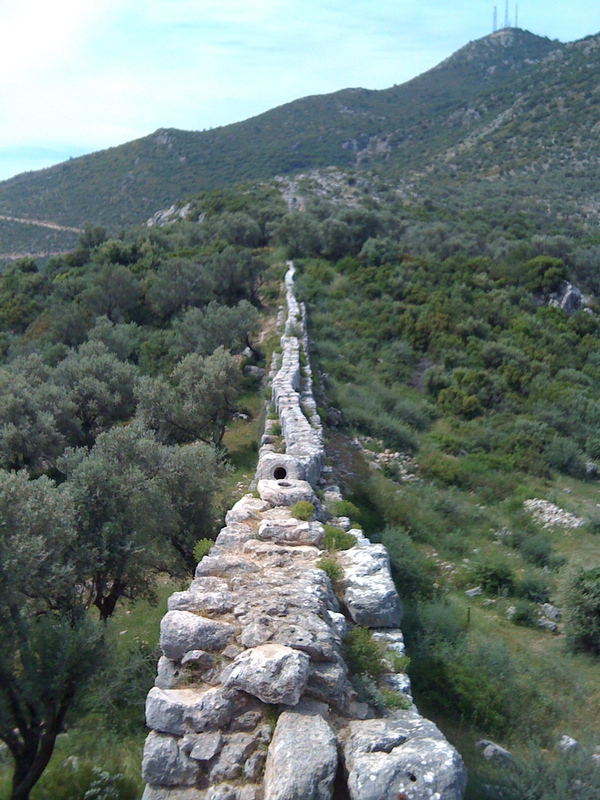 Going to have to find me a book about aqueducts. Originally, I thought you were in Italy until I saw the little snipped about Turkey. My father has been to Turkey several times and always enjoyed his visits. Did you get to Istanbul or the Hagia Sophia? Vicariously enjoying your world travels! Thanks so much for posting pics! Yes on Istanbul, and the Hagia Sophia and the Blue Mosque. Happy to see both, but what I really loved was the Archeological Museum.